To put your name into the drawing, you only have to post a comment on my blog or email me: KathyCollardMiller AT gmail DOT com. I will draw the winner on Monday night, Feb 6th, 2017, and announce the winner the next day. I’m including here the first lesson. If you don’t want to go through the whole thing, flip to the end and you’ll see the “Letter from God.” At the end of every lesson, I include one that refers to what the study studied. I know this will bless you. Prayer. What joy we experience when we take the time to focus on our great God. Whether we think we pray enough or not, we know we can never spend too much time talking to our heavenly Father. We know God’s Word calls for us to pray, and we sense God’s wooing to focus on him, but the challenge comes when any number of obstacles bombard us. We can question whether we’re praying in the right way. We can wonder if God hears us. We hear someone else pray beautifully, and we believe we aren’t eloquent. We hesitate to pray when others are listening. The doubts and confusion can swirl around in our minds and hearts and block our confidence in seeking God. And then when our prayers aren’t answered the way we asked, we conclude God doesn’t love us. We can even claim biblical “promises” about prayer but the answers still seem a part of some big mystery we don’t understand. Truly, there are many blocks and much to learn. The most wonderful thing is God invites us to seek him while he continues to teach us. There is hope. How do you define “prayer”? Why do you think we should pray? What has confused you the most about what other people say prayer is? What do these verses say about the purpose of prayer? In this example, it’s instructive that the Apostles first narrowed the possibilities down to two candidates for one to replace Judas. Then they asked God for guidance to choose one of them. These verses show one way prayer includes our own involvement. Jesus had personally picked each of the disciples in the beginning, so it made sense to them even in the early days of the church, that they should pray to ask him to choose the next man for leadership. Although we can apply this to what we call “saying grace” at a meal, it refers to everything in our lives. In the previous verse (vs. 3), Paul says it refers to marriage. Overall, whatever God has allowed is good and can be received as a good gift as it is dedicated in prayer. Although God wants to give us wisdom about everything, in the context of this particular passage, James says these persecuted Christians should ask for wisdom in how to respond to the intense trials and temptations they are facing. Of course, we can and should pray whether we’re joyful or sad. But in this context, Peter is warning his Christian friends they will be facing a difficult time which requires special seriousness. Peter could be using “the end of all things” to refer to each person as they face death. Or it could refer to some catastrophic event including persecution. Neither Peter nor his readers could have known their “world” of Jerusalem would soon be coming to an end, because its destruction by Nero wasn’t far off (70 A.D.). Even if we didn’t have all those reasons, why should we still pray (Matthew 7:7-11)? Our loving heavenly Father wants us to know every single concern we have and every part of our lives is of interest to him and can be brought to him in prayer. He only intends to answer and provide whatever is best for us. We may not consider his answer to be for our good at the time, but if we trust him, we can receive his answer with thanksgiving. According to I Timothy 2:1-3, Matthew 26:41, and II Thessalonians 3:1-3, what are other purposes of prayer? In these verses, God communicates even more thoroughly we can bring every person, even those in high standing, to his attention. Whereas very few of us can imagine ever having an audience with an earthly king, we do have access to the King of Kings who is in charge of the activities of everything and all people, including the most influential people on earth. Eve’s “Daily Quiet Time” was different from ours. She physically walked with God while she talked with him. How did Eve fail to benefit from that privilege (Genesis 3:1-7)? Eve may have been talking to God but there was someone else talking to her. Sometimes we can mistake Satan’s evil whisperings for God’s voice. How do you think prayer can prevent us from being deceived as Eve was (Genesis 3:13)? Eve replies to God’s inquiry but if she had talked with him as soon as the serpent began to whisper evil ideas, she could have prevented succumbing to the temptation. Eve experienced many unpleasant results when she hid from God (Genesis 3:8-16). What results have you seen in your life when you didn’t pray about something? When we pray, we are the beneficiaries. What are some of those benefits? Which of those benefits is most meaningful to you? Although our motive for prayer shouldn’t be to gain something, God loves to benefit us. Like a loving father who rewards his children, God, our heavenly Father loves our attention and he loves lavishing blessings on us. When we’re blessed, we’re also an example of God’s love to others. What truth does God reveal about prayer in Proverbs 15:29? Read John 9:31. Why do you think God does not hear the prayers of unbelievers? The wicked in effect are saying to God, “I want to be separate from you. I want to do my own thing, so get away.” God honors their request. Since those who pray are saying, “Please be with me and help me,” God responds to them by drawing close. We are each receiving what we’re asking for. If you want to acknowledge your sin, you can respond in repentance to God and receive his offer of salvation. He is reaching out to you with his gift of forgiveness and cleansing. Pray to him and ask him to forgive you. Tell him you know you deserve spiritual death but you want to claim Jesus’ death and resurrection to apply to you. He always hears and responds to that prayer. And then read the Bible, pray often, and find a church which preaches the Gospel—which is the “good news” of Jesus dying on the cross for sinners and how we can depend upon our position in Christ for daily living. 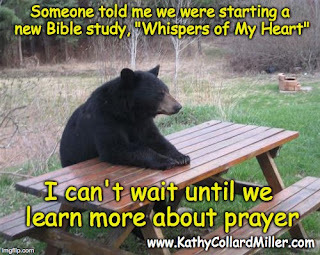 How do your prayers make God feel (Proverbs 15:8)? Why do you think God values your prayers so much? What “sacrifices” might an unbeliever make to God today? Why do you think the Lord doesn’t value the wicked’s sacrifices? The sacrifices of the wicked are unacceptable to God because their motive is not to acknowledge he is their only hope but to appear to do the right thing as they work to earn their own salvation. They then can feel proud thus lacking dependence upon God. The “upright” are not those who act perfectly, but who have claimed their inheritance in Christ through his sacrificial death on the cross. The upright acknowledge their neediness and approach God with a humble heart. After the disciples and followers of Jesus had seen him ascend into heaven, what did they do (Acts 1:12-14)? When we don’t know what next step to take, how can their example help us know what to do? So often when we’re unsure of what to do, even in our service to God, we flail about just keeping active doing anything. We might fear if we do nothing our inactivity will be judged negatively by others—and even ourselves. Sometimes it’s better to wait on God’s further orders and faithfully keep obeying his last instructions. Not only did the disciples and followers not know what to do, they may have been afraid Jesus’ enemies would try to harm them, as they had Jesus. Yet to their credit, if they were afraid, it would have been reasonable—from a human perspective—for them to flee the city and area. But Jesus had told them to stay put (Acts 1:4) so if they fled, they would have been disobeying him. To their credit, they remained despite the possible danger. Their response of prayer was a wise one and an example for us. Whether we’re confident of God’s directions or not, we can pray and continue to seek him. The writer summarized the desire of his heart in a prayer expressed in Proverbs 30:7-9. What were his two requests? 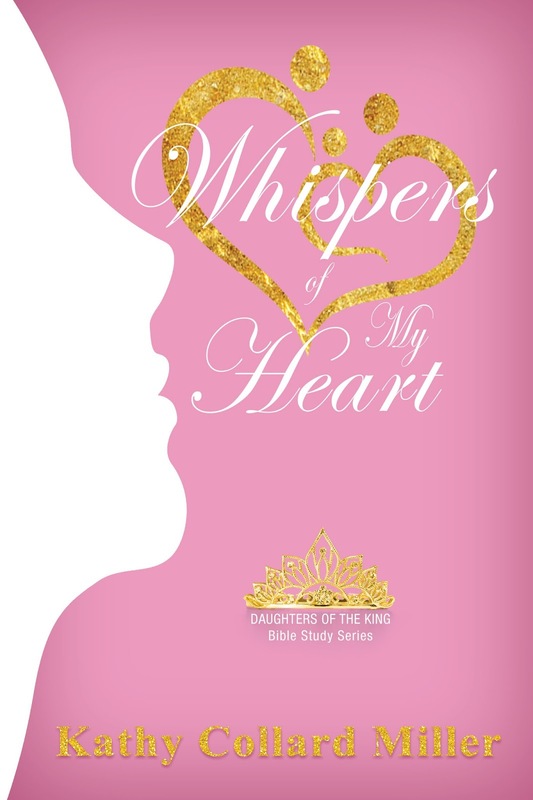 If you had to summarize the desires of your heart in two requests, what would they be? Write them in the form of a prayer. The writer, who is identified in Proverbs 30:1 as Agur, son of Jakeh, is only mentioned here in the Bible. Commentators believe he lived in the era of Solomon, which of course, is when the biblical book of Proverbs was written. Most of the proverbs in this biblical book were written by Solomon. The word agur is from a Hebrew word meaning “collector” and Agur is indeed known for collecting numerical sayings as this chapter reveals. Read Isaiah 26:3-4. How does prayer help us have a steadfast, trusting heart? How do the following spiritual principles connect with prayer and what results from each? Obviously, there are an unlimited number of verses referring to the importance of prayer and the impact God wants to have in our lives through it. Prayer is most simply two-way communication with God. There are various aspects of it. Whether we are seeking God individually or in a group, whatever the purpose or the need, regardless of the form prayer takes, every time and in every way we pray, God is listening. He loves for his children to seek him and depend upon him. The simplest things we do can indicate our attitude toward God. What principle of prayer does Jesus teach in Matthew 14:19, 26:26? What can these different kinds of prayer indicate about our attitude toward God? How does prayer help to make adjustments in your attitude toward God, toward others, and life’s circumstances? Read Matthew 26:36-46. What did Jesus request from his Father (vs. 39)? Why do you think Jesus didn’t want to drink the cup of judgment for sin? Regardless of what Jesus wanted, what was his attitude (vs. 39b)? What insight does Hebrews 5:7-9 give about the purpose of God’s answer of “no” to his Son? What should we learn from God’s “no” answers to our requests? Jesus experienced every aspect of being human—except sinning. He completed his Father’s will to die for the sins of men. In his humanness, he didn’t want to suffer, as any person would respond. Yet, he accepted his father’s answer of “no” to his request to be spared. Because he wanted to avoid the pain and the shame, his obedience is highlighted. He could choose to suffer because he trusted his Father’s ultimate purpose of the “no”: redemption from sin and restoration to God for people would be accomplished. Additionally, he would rise from the dead overcoming the power of death, thus giving hope of heaven to Christians. The more we can trust our heavenly Father’s good plan even when he says no to our requests, the more we can live in peace knowing he’ll be glorified. God said “no” to his Son and made our salvation possible. What can we be assured whether God answers us “yes,” “no,” or “wait”? Which of those verses is most meaningful to you? How do they encourage you to trust God more? I do love the times you talk to me. Whether you’re in trouble and asking for help; whether you’re confused and asking for guidance; when you come to me with your praise and thanksgiving; or whether you just want my attention for any reason, I delight in your call to me. There is joy for both of us when you seek me in prayer. I long for the fellowship of your attention. I wanted it so much, I sent my only Son, Jesus, to die for you to make it possible. I want you to enjoy our time together as much as I do. I want you to feel loved and approved as we communicate. I look at you with eyes of love and acceptance because you are my precious Daughter. I know you may not always appreciate or understand my answers to your requests. But please believe, dear one, I only respond with what I know will be best for you. Will you trust my wisdom and permit me to do what is right for you? If you could see the situation the way I do, you’d choose the same thing. Please continue to seek me. I don’t want anything to keep us from our times together. They mean so much to me. And so do you. Ohhhhhh yes!!!!!! I would LOVE to win this!!!!! Jeannie, thanks so much for stopping by and putting your name into the drawing! You are in! And thanks for your support. Glad you like the question and answer style. Nicci, you are in the drawing! I sure appreciate your support and hope the study is a blessing, whether you win or get it another way. I know it'll be a blessing to you! What a sweet book! Thanks for the giveaway! looks like a wonderful bible study – thanks for the chance. Hi there, "Uptown Connie," great to hear from you and I've put your name into the drawing. Be sure to check back after next Tuesday in case you won. Otherwise I won't have a way to contact you. Thanks so much! Thank you Elizabeth, for putting your name into the drawing hat. And I appreciate your encouraging words. Thank you, Judy, for putting your name into the hat and in the meantime, I hope you enjoy going through the lesson. Thank you Felicia for stopping by and putting your name into the drawing. I hope the lesson and the book will assist in your teaching. Such a worthy topic. "Lord, guide Felicia in her studying and direct her to the resources you know will best assist her. Even now prepare the hearts of the people who will hear her. Give her confidence in your ability to use her and how your Holy Spirit speaks within each participant. Glorify yourself, Lord God Almighty. In Jesus' Name we pray." Hi Lane, thanks so much for putting your name into the drawing. I'll announce the winner tomorrow on a new blog post. Please check back then. Blessings to you! Felicia, you are the winner! Congratulations. Please send me your mailing address to me: KathyCollardMiller AT gmail DOT com. I'm so excited for you.